Italy is the country we’ve visited most frequently on our travels. The love affair started back in 2003 when we made our first trip overseas, returning again for a month in 2011 and twice in 2012. There should be no surprise as to why this is – it’s beauty is far reaching, and the food – THE FOOD! We love to visit but could never live there, it would be far too dangerous for our health. Dalene was roaming Rome on her own, and took to the streets as a solo traveler for the first time. We spent only two days in the watery city, and most of that time was spent getting lost in the maze of streets and canals. And thus, we left with mere impressions of Venice Italy. 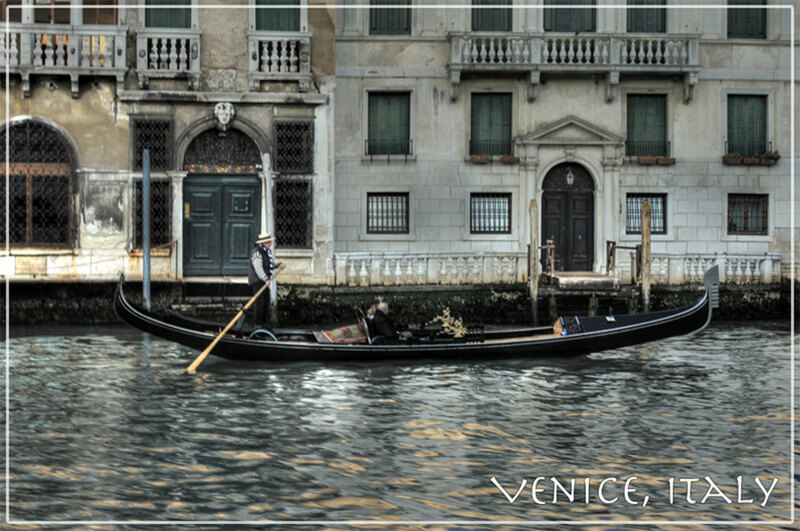 We had to ask ourselves: what is it like to live in Venice? This may be the most beautiful place in the world we’ve ever been. And a perfect place to just let go. It all ends in Amalfi Italy. Why aren’t you in Bologna? WHY NOT? Enjoy caves? Dalene doesn’t, “I blame Hollywood“. Pete was left alone in Catania, Sicily, Italy, and unfortunately, he was not a big fan. The awesome power of Mount Etna is seen in her devastating nature, but also equally in the love of her people. It was one long travel day on the rails from Catania to Trapani, and we give you a detailed look at how we handled that! We fell in love with Trapani, and it reminded us that our exploring places – this is our life. We had two weeks to spare in Italy and landed in Umbria by default. What we didn’t know was how truly captivated we would be. It stands as a true testament to the diversity of Italy. This is our tour of Umbria. The original plan was to work for a few hours in the morning and then leave for an afternoon of exploring, but a reader’s email about Piano Grande Italy changed it all. Though it didn’t make the first cut, the Cinque Terre, Italy photos are a testament to it coming through as our second choice. Small, off-beat destinations are where it’s at. The tiny city of Modena, Italy affirms that claim. You haven’t lived until you’ve met Mama and eaten her pasta in her trattoria Annamaria in Bologna, Italy. Italy is all about the food. No denying that! Pork, pork, and more pork. It’s a porkfest! And finally, as usual, we summed up our month long exploration of Italy in December 2011 with our favourite photos-turned-postcards from Italy. There are some things about our life and work that can be awfully frustrating. Italy showed us how glorious, beautiful, and wi-fi-dependent (for now) our life really is. It isn’t the first time we’ve put together a set of postcards for Italy, and it probably won’t be our last. This is postcards from Italy two!